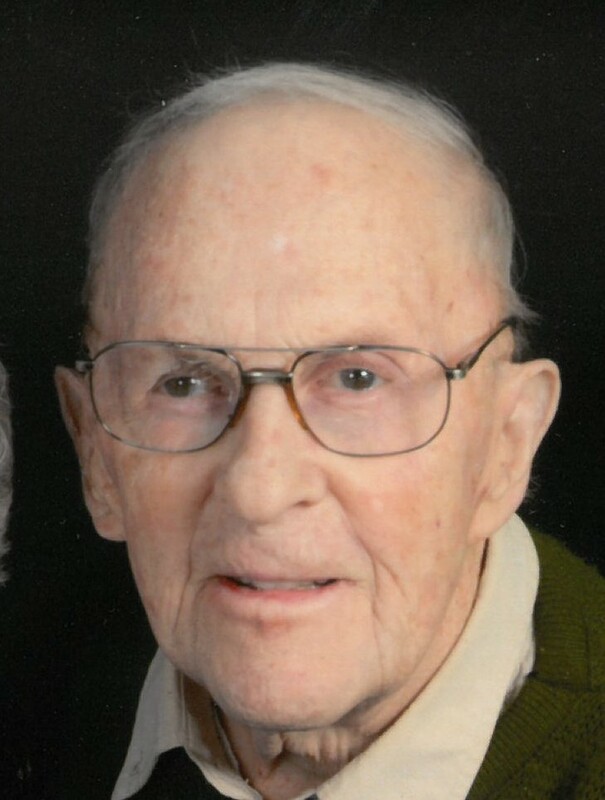 Loyal Emanuel “Banjo” Swenson, 91, of Gladstone, passed away peacefully on Wednesday, November 28, 2018. He was born on May 31, 1927. Loyal was the son of Swedish immigrants, Olaf Emanuel Swenson and Anna Martha Magnusson of Ensign, MI. Loyal was baptized on October 24, 1928 by Pastor C.E, Olson & confirmed on June 1, 1941 by Pastor Clifford Peterson, at First Lutheran Church in Gladstone. Loyal attended Gladstone Area Schools, and soon had the wanderlust, joining the U.S. Coast Guard, serving aboard the Emory L. Ford. Later he served in the United States Army, during the Korean Conflict, from 1951-1953, in the military police. He was honorably discharged with the rank of Corporal. After returning home to Gladstone, he served in the Army National Guard. Following his discharge, Loyal worked for a short time with the U.S. Forest Service, enjoying work from the fire towers. He next followed in the work that his father did, hired by the Soo Line Railroad, in 1946. After more than 41 years of service with the railroad, he retired in May of 1997. On June 5, 1965, Loyal was united in marriage to the former Ellen Stephan, at the First Lutheran Church, Gladstone. These happy years lasted over a span of 53 years. During that time, the couple received the joy of 2 children, Cheryl & Chris, and welcomed with more joy, a grandchild, Stephan. 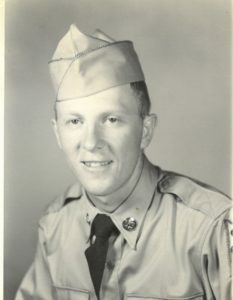 Loyal was a 60 year plus member of the August Mattson American Legion Post # 71, of Gladstone, during which time he was a member of an elite Drill Team that took state honors, led by Mack Davis. He was a long standing member of the Delta County Swedish Club. Loyal served many years with the Gladstone Volunteer Fire Department, which gave him lifelong friends and a bond of brothers. He also took great joy & pleasure singing in the local Barbershop group. Loyal E. Swenson is survived by his wife, Ellen of Gladstone, daughter Cheryl (Dennis) Demers of Manistique; son Chris Swenson of Marquette and grandson, Stephan Demers, presently in East Lansing, MI; sister Violet Christiansen, sister-in-law, Pat Swenson; several very loving nieces and nephews, many more gained since his 1965 marriage. Visitation for Loyal E. Swenson will be held from 1:00 PM to 2:45 PM at the First Lutheran Church, 1212 Minneapolis Avenue, Gladstone on Sunday, December 2, 2018. Military Honors will be presented at 2:45 PM by the Gladstone American Legion Post 71. Funeral service for Loyal will be at 3:00 PM with the Pastor Tom Otis officiating. Luncheon will follow in the fellowship hall at the church. Loyal E. Swenson will be buried at Fernwood Cemetery in Gladstone on Monday, December 3 at 10:30 AM. The Skradski Funeral Home in Gladstone is assisting the Swenson family. The family of Loyal E. Swenson would sincerely like to thank all those who helped him and his family in these last 2 months at Northern Comfort Specialized Care in Manistique, along with all the staff who gave him comfort and aid at the ER of Escanaba and Manistique and also U.P. Health System of Marquette, in his time of need. Memorials contributions may be directed to a charity of one’s choices. I am very sorry to hear of your loss. My dad, Art LeGault, sure enjoyed Banjo! My mom, Lorraine, and dad enjoyed many good times with Banjo and Ellen. God Bless you. Aunt Ellen, Cheryl and Chris – My sincere condolences to you all. I will miss Loyal. To me, he will always be Uncle Banjo. As a child, I always looked forward to “going up north” to visit my aunts and uncles. Uncle Banjo always was happy to see us and as a child, that made me feel special. I know his passing brings sadness to you all so please know that I am praying for you all during this difficult time.